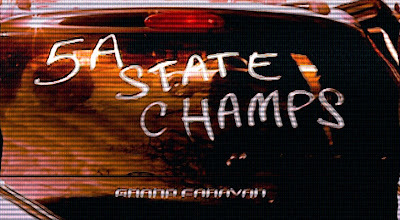 The Z3 FILMS Basement: 5-A State Championship! The last time Metamora played Morris was in the Semi-Finals back in 2002 when I was on the team. They beat us on that fateful evening that has become known as the infamous "FOG BOWL". Now five years later, Metamora is getting their rematch but this time in the 5-A State Championship (without fog). The stadium was packed with what had to be at least 90% of the town of Metamora. The game was a close, intense, and was won in the final seconds. I shot the game as a "SPECIAL GUEST CAMERA OPERATOR" for Levi Obery of Ten Thirty-One Pictures. This is the seventh year in a row that I have been involved with the Metamora Football Highlight Reel. The highlight reel for the 2007 Football Season is set to Premiere in the M.T.H.S. Auditorium on Sunday December 2 (this weekend!). Congratulations Redbirds on a great season!